This tale is the final written account of the Lieutenant-Commander of a submarine U-29, Karl Heinrich Graf von Altberg-Ehrenstein lost at sea. Karl explains that he is writing the document while his boat sits at the bottom of the ocean, entirely dead. It is during World War I, and the submarine had been sinking boats in the Atlantic. After one attack, they emerge later to find a man, dead, but clinging to their ship. The man has an ornament and his eyes are open. Lieutenant Kienze takes the ornament and they throw the body back into the sea. However, some of the crew are unsettled by the fact that the dead man's eyes were left opened when he was thrown back. One even reports seeing the dead man swim after being disposed of. Over the ensuing days, the crew begins to suffer nightmares and there is increasing insubordination. Between mechanical failures and a failed mutiny, the submarine breaks down and finds itself following along a current and unable to emerge from the water. At this point, the boat is also followed by a large herd of dolphins too. As the submarine sinks lower and lower, Kienze becomes increasingly strange too and while approaching some odd elements on the ground of the sea, insists on going out into the ocean. Karl attempts to dissuade him, but man is clearly mad. He leaves but Karl can't see what happens to him. For more days, Karl survives and the submarine eventually finds its way to the bottom of a ravine that reveals itself to be a sunken city. Karl is fascinated by the world that he sees, especially when the submarine finally hits ground outside a mysterious temple. Slowly, the ship's functions die out and Karl finds himself in utter darkness, yet a soft glow begins to radiate and Karl believes this is madness finally settling in. He also is increasingly called to the temple outside. He can no longer resist it and writes this final testament before disappearing into the water. 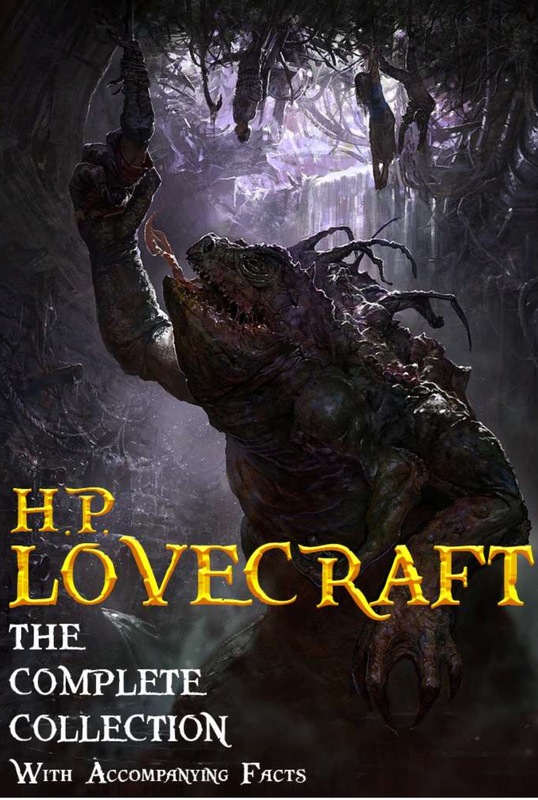 Lovecraft leaves the mystery of the city and what it is to his readers, though in other stories, he provides more intriguing answers or more haunting hints. It's an epistolatory story and so we are left wondering just what does Karl see when he finally reaches the temple. It seemed like the story had some nice pieces but they were never entirely sewed well together. The dead-man who lives, Kienze's ornament and the dolphins all provide snippets of something bigger but nothing you can really grasp. Also, this story was interesting because Lovecraft is well-established to be racist in his depictions of non-white races. However, in this tale, he also shows a critique of German identity and racial purity. The captain regularly praises his own pure German blood and how that grants him a certain degree of superiority, and yet, the story clearly marks him as just as lost and befuddled in the rest, searching for scientific answers and stern discipline for something that does not obey "natural" laws. None of this is apologetic fo Lovecraft but to raise the question of complexity about his views on race.